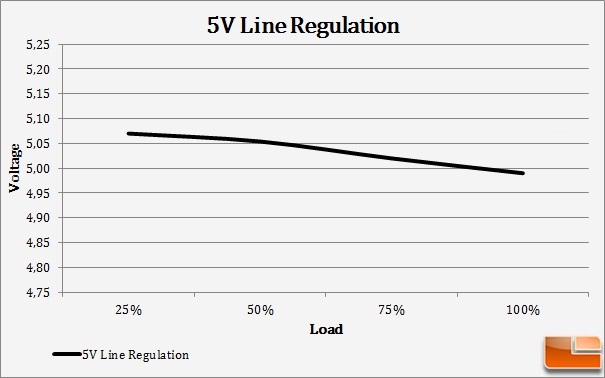 The electrical performance of the RM650 is remarkably good, especially for the price of the power supply. 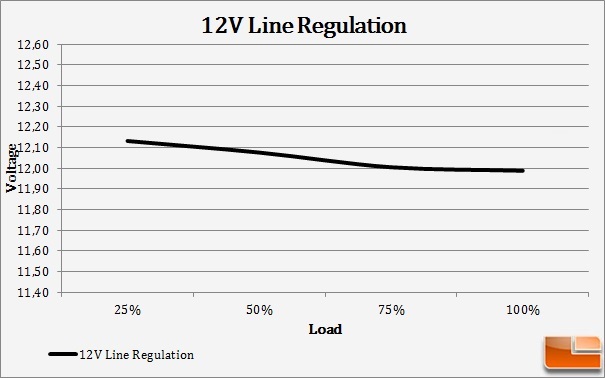 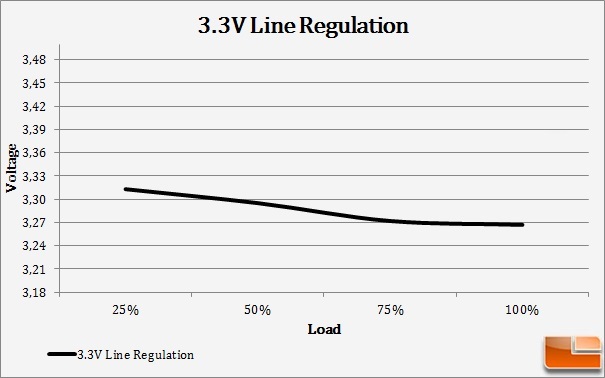 Voltage regulation is quite tight, with the voltage lines deviating less than 1.5% across the load range. 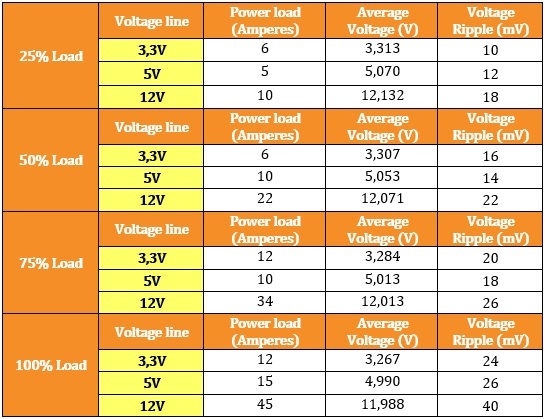 Ripple suppression is very good, especially considering the class of the power supply, with the maximum recorded ripple being 40 mV on the 12 V line and while the power supply was operating at maximum capacity.